Tropical Storm Etau hit eastern Japan with a large amount of rain, 26 inches total between Sept. 6-11, causing floods and landslides. 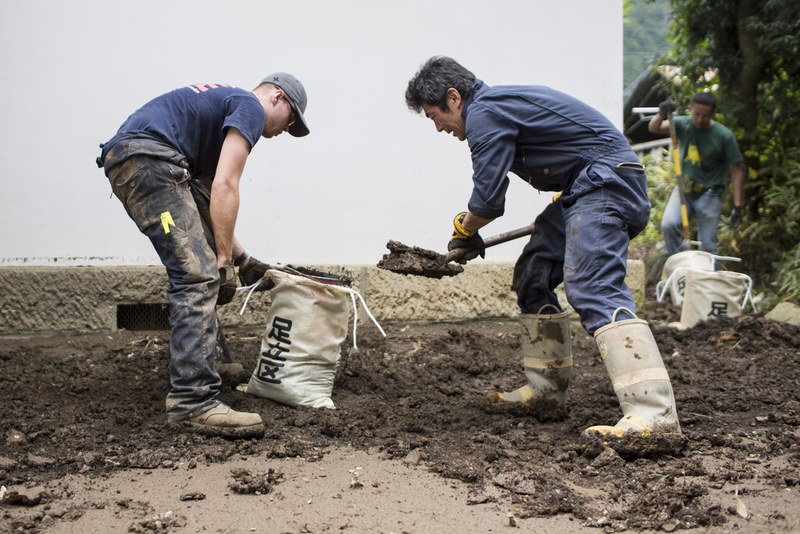 More than 12,000 homes were flooded throughout the Greater Tokyo region and 350 landslides struck Tochigi prefecture alone. 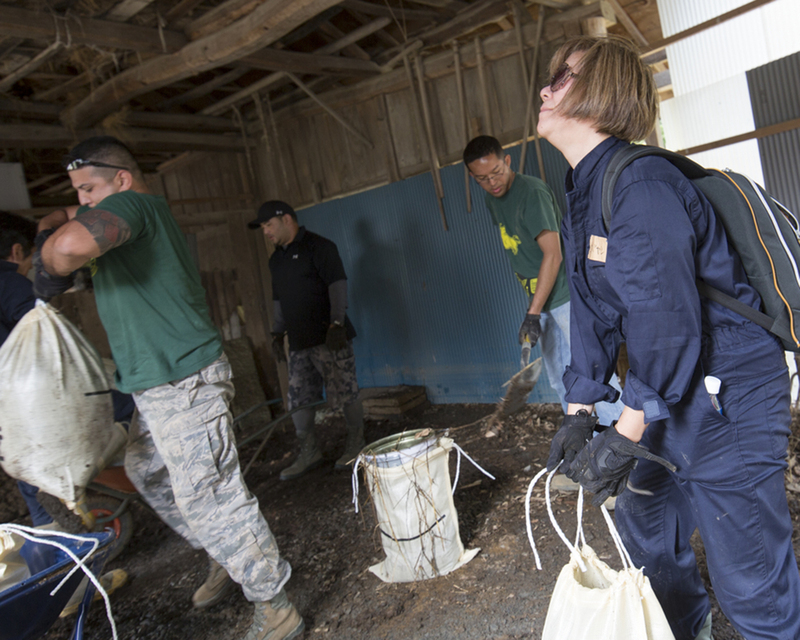 In response, the 374th Civil Engineer Squadron put together a 60-member team to assist in flood relief efforts in Kanuma city, Tochigi prefecture. The teams arrived Sept. 13, working out of the local elementary school, and stayed on ground through Sept. 15, helping local residents restore their properties to pre-flood conditions. Splitting into multiple teams, the volunteer force cut tons of lumber that had rolled onto a local ice rink and farmer's field, allowing for much easier removal. They also cleared the farmer's irrigation drains and repaired broken items around his property. Upon completion of the school and nearest farmer's land, the teams dispersed throughout the local area, clearing mud from driveways, garages and yards for the young and elderly. They also unclogged an irrigation system covered in more than six feet of mud for another farmer. Maj. Korrine Takeyama, 374 CES operations flight chief and volunteer lead, said her 'guys' were happy to help. "It's been fantastic," she said. "We love doing this. It's our bread and butter. We train for this--doing humanitarian work." 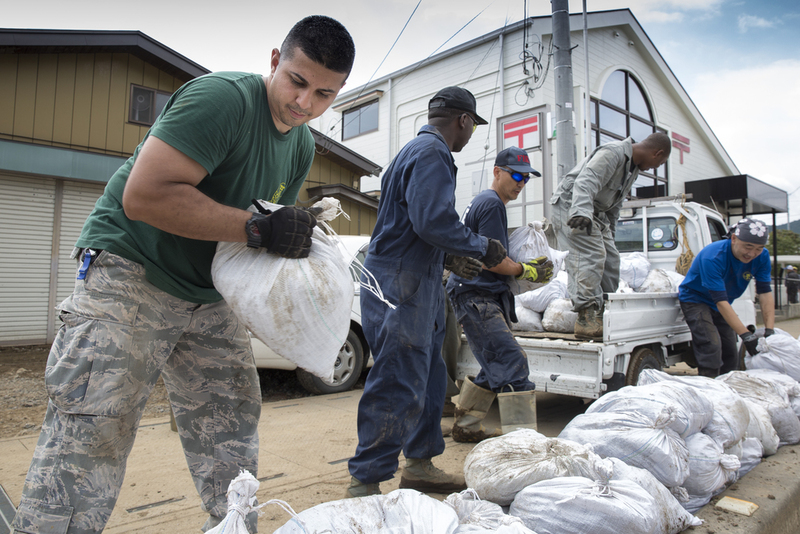 Takeyama said the volunteers would stay until the area was 100 percent restored if they could, but mission requirements only allowed for three days. The 374 CES commander offered a 48-hour pass to anyone who wanted to support the volunteer effort. 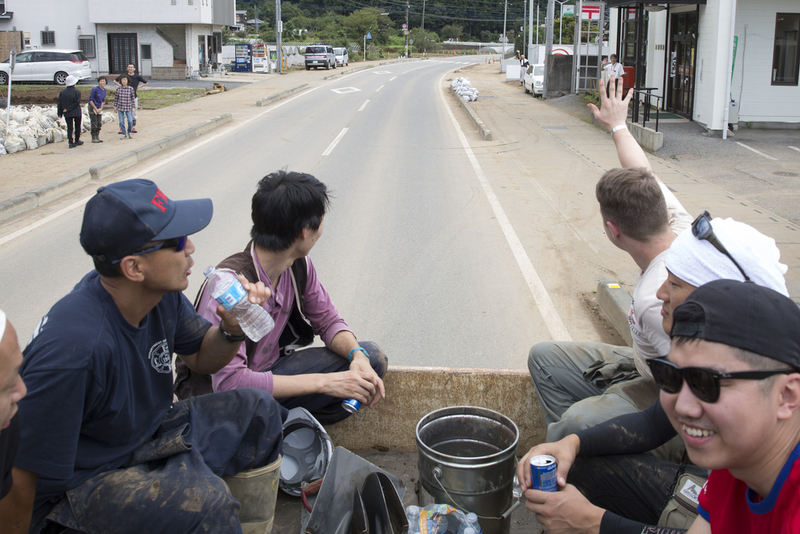 A few Japanese workers even took leave in order to volunteer. "The support we received was overwhelming," Takeyama said. "Everyone was willing to give their time. It's been great to see the squadron come together for such a good cause." The volunteers were there to assist the local community, but Takeyama said they also supported a coworker. "It was a chance to not only help a community in need, but also support one of our own who grew up in Kanuma," she said. Marco Furlan-Kaneko, 374 CES portfolio optimization element chief, spent years of his childhood in Kanuma. Born in Guatemala, son to a Guatemalan father and Japanese mother, Kaneko moved to Japan at the age of three and lived there until he was 11. Relaxing on his off-day, Kaneko stumbled upon the flooding information while watching the news. He wasn't sure if it was his childhood city or not, but he was drawn to help. "They were calling for volunteers and were in need of bodies," Furlan-Kaneko said. He took his found information and contacted the squadron leadership. A few hours later, 60 volunteers were scheduled to leave early the following morning. "I've been in commander's calls and working with our Japanese partners is always the message," Furlan-Kaneko said. "These past few days, I truly know what that feels like. It is a sad reason why we are here, but it made the community come together, it made us come together and work toward a common goal." The morning of the volunteer's final day, the local elementary school invited the volunteers to a presentation. 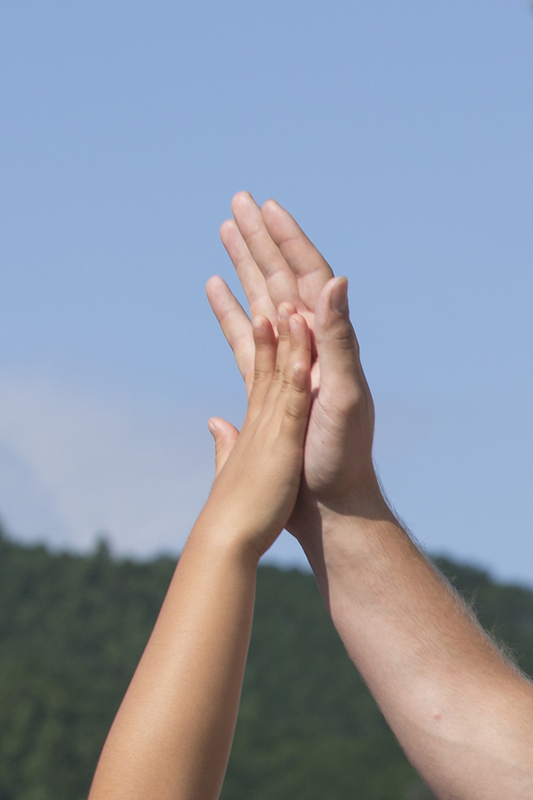 The principle expressed his gratitude to the team for their support in restoring the community. "We don't know how we could ever thank you," the principle said. "But, what we can do, is teach our children the volunteer spirit that you have showed us and when a disaster like this hits again they will go out and help others."